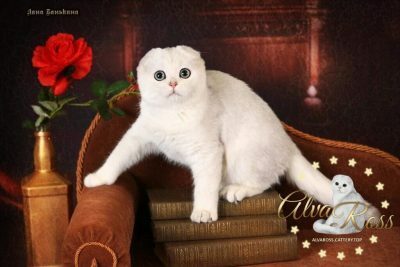 Surely you've found this page for "Scottish Fold silver chinchilla cat photo"! Well, you've come to the right place. I am glad to see you on the site of my Scottish cats cattery. There are several misconceptions on the web that I will try to dispel in this article. 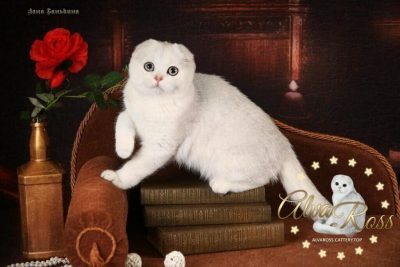 Firstly, in the network, this color is often called "Scottish chinchilla", which is not entirely true: it is correct to speak simply "chinchilla", since this color is also found in other breeds, not only Scottish cats. 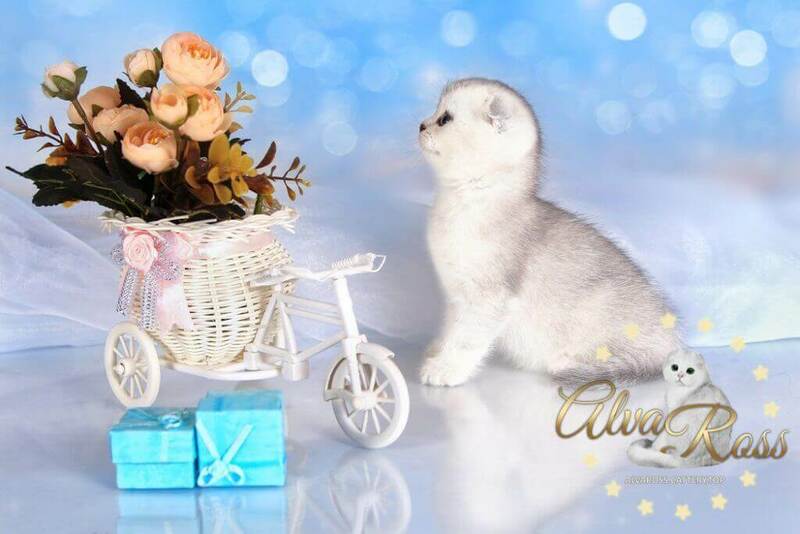 Secondly, the chinchilla in the usual sense now is any cat of a silver shaded color. This is also not true. The true "chinchilla" is a cat of color ns 12, whose tip of each covering hair is colored in the main color only for 1/8 of the length of the hair. Thirdly, often the true chinchilla is confused with another color - ns 11. Representatives of this color have hair tips, painted in the main color for 1/3 of the length of the hair. Ie the painted tips are much longer. Animals of this color look much darker, their color is brighter, while the chinchillas have a white peroberative undercoat. This color is correctly called "shaded", not "chinchilla". Fourth, if we talk about the color of the eyes, then in the standard of these two colors there are also discrepancies. 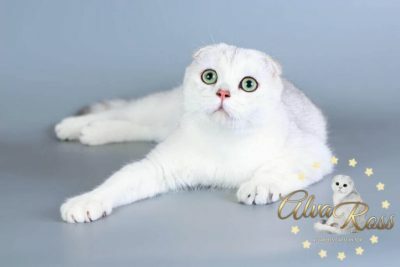 So, Scottish Fold silver chinchilla cat can have only green eyes. Ideally - a bright emerald eye color. 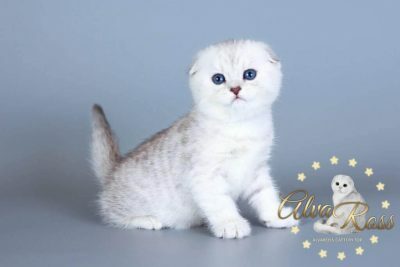 And for silver shaded cats, according to the standard, in addition to green, yellow eyes are also allowed. 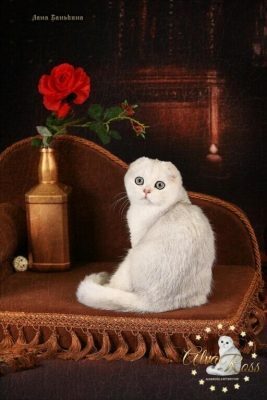 Silver shaded cats with yellow eyes are called "pewter". As a rule, the color of the eyes is finally formed and gaining strength to two or three years of age. Scottish kittens of chinchilla and silver-shaded color are often born with so-called residual tabby markings. They look as if the unobtrusive specks remained on their fur coat. But do not worry! Approximately at the age of 2-3 months the kittens will not have these spots. Of course, these two colors are very beautiful! I think that no one can resist their fascinating beauty!